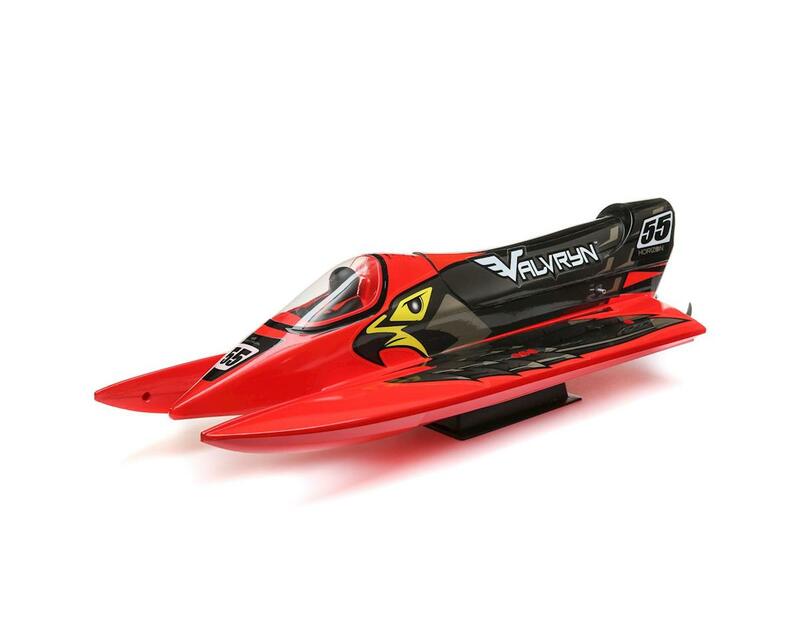 The Pro Boat Valvryn 25" F1 Tunnel Hull RTR Brushless Boat is the best of all worlds. 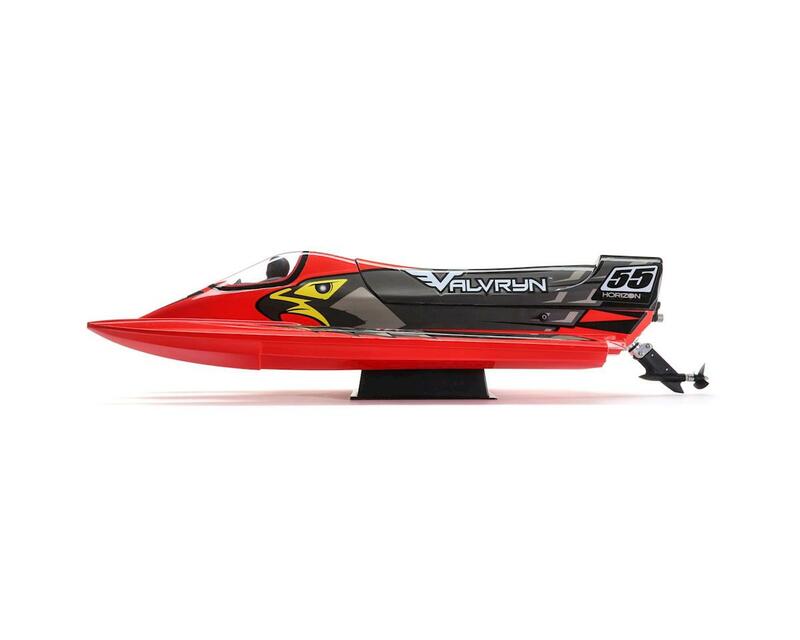 It offers the stability of a catamaran, the corner speed of a hydroplane, and the performance of an outboard. 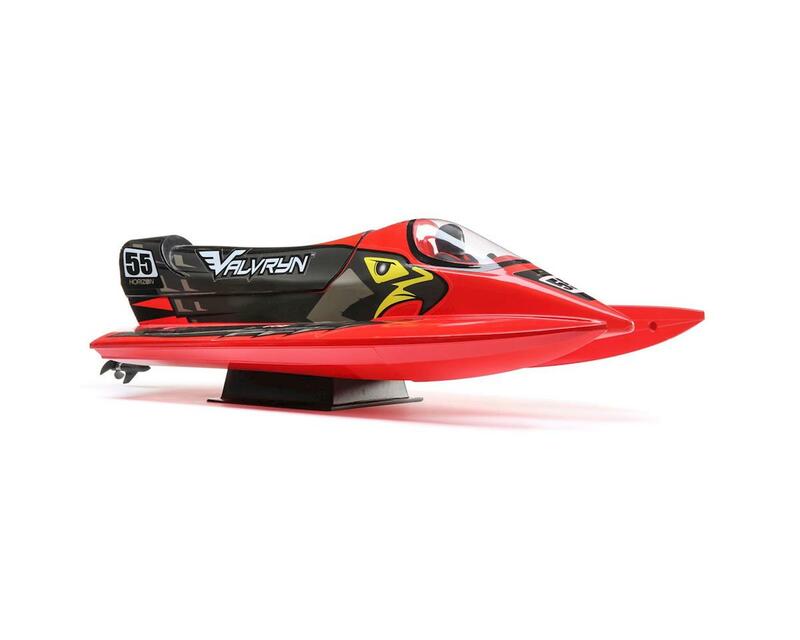 This high-speed F1 tunnel is equipped with a water-cooled Dynamite 30A Brushless Marine ESC 2-3S motor capable of hitting 30+ miles per hour. The composite molded interior is more resilient than typical wood interiors while the self-righting hull adds security and builds confidence. 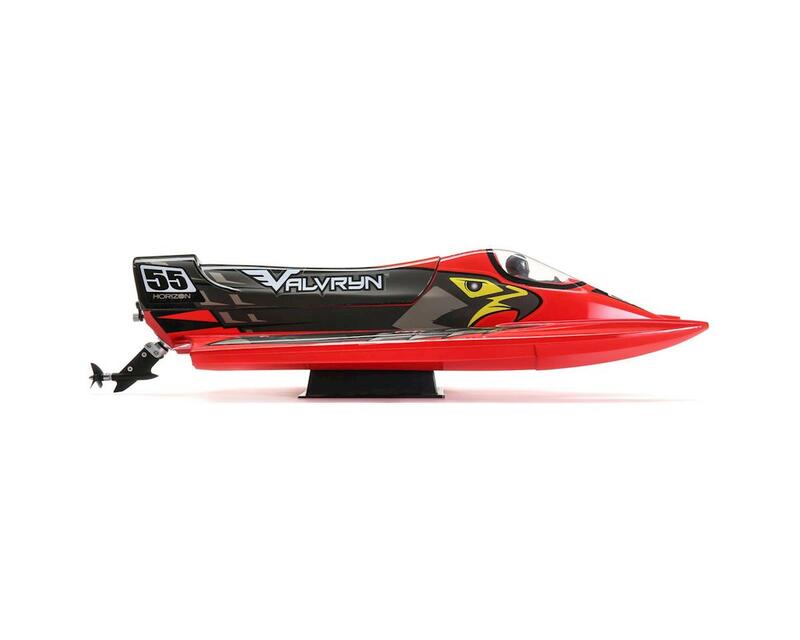 No matter your skill or knowledge level, the Valvryn features everything experts and beginners alike are looking for in a lake or river boat. Horizon is not showing the measurements. 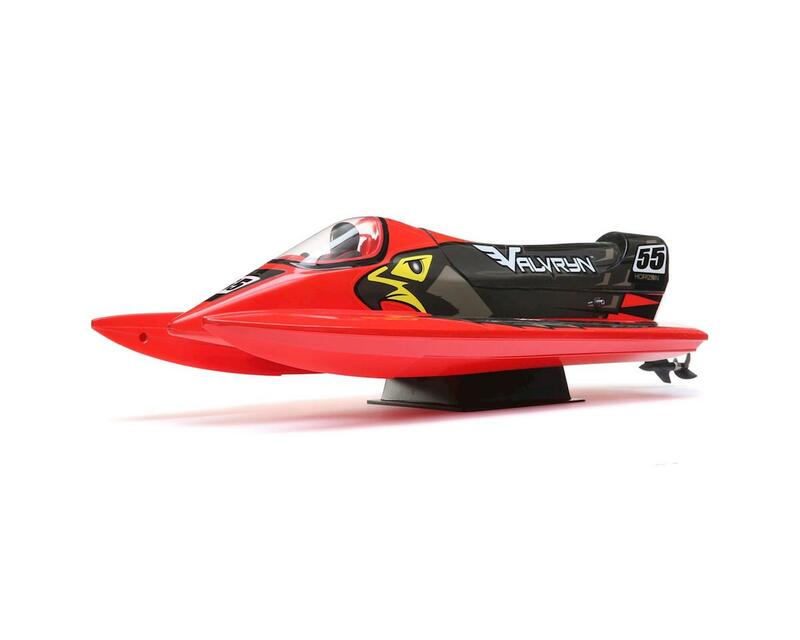 this motor can not be Motor Size: 280mm x 50mm (11 inches long). 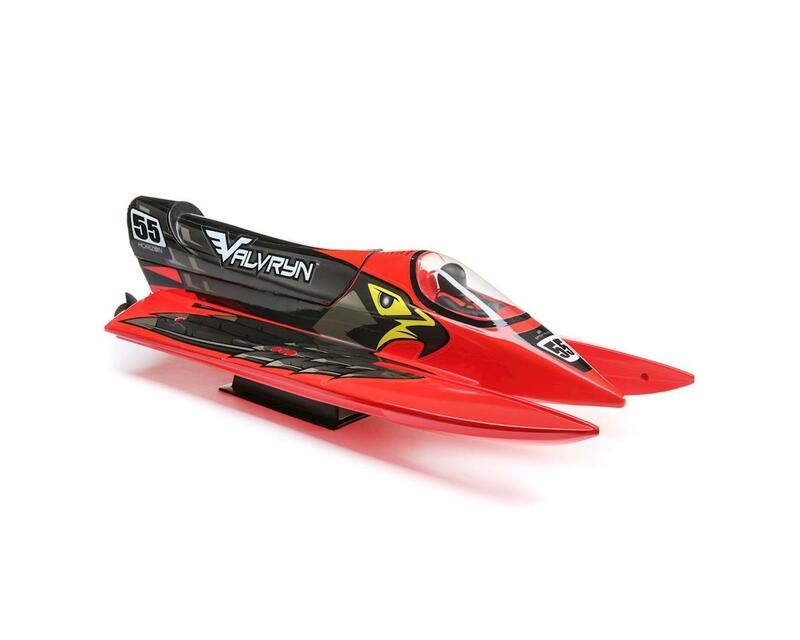 3 stars because i rely on accurate information on a $300.00 rc boat. i'll assume it's a 28mm-29mm x 50mm can.